A group of activists and historians has been working to recognize the victims of the Ocoee massacre on election day in 1920. 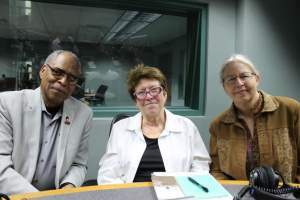 The massacre wiped Ocoee’s African American community off the map, but the efforts of the Truth and Justice Project of Orange County aim to retell the history of that community. It’s also part of a nationwide movement to create memorials to lynching victims and help the communities where those lynchings took place come to terms with the pain of the past. John Ashworth and Margaret Vandiver with the Memphis Lynching Sites project join Intersection along with historian Joy Wallace Dickinson with the Orange County Truth & Justice Initiative for a conversation about making sure the history of these events is not lost. Click on the link to hear parts one and two of the conversation.